Ministry of Transport, in a statement received "Economy News" copy of it, "Laibi, received Indian Ambassador Pradip Rajburo Hype, Facilities ", noting that" the meeting discussed ways to ensure the success of opening air links between the two countries and to expand prospects for future cooperation in the transport sector. " "The State of India is the fourth economic country in the world," he said, adding that "the opening of new airlines would encourage travelers and visitors to revive religious and commercial tourism." 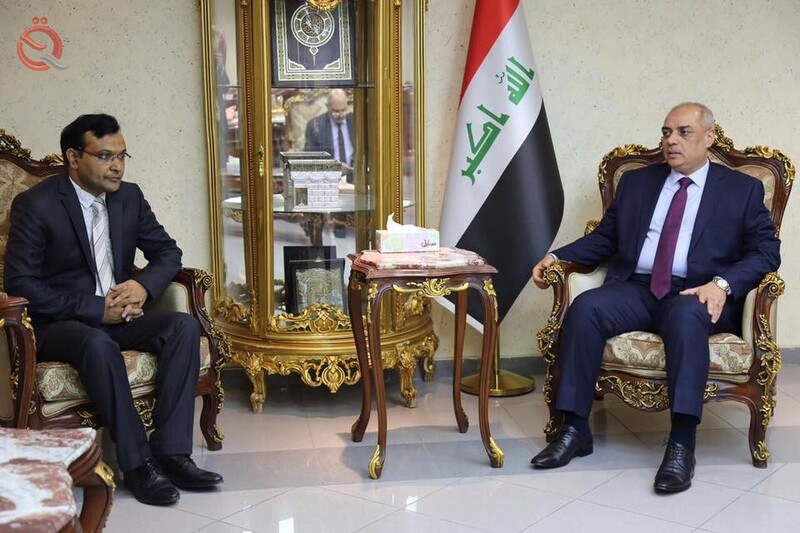 He added: "The importance of this country and its population density, in addition to the large turnout by Indian Muslims to visit the holy shrines in Iraq will be the opening of air routes soon between the two countries." It is worth mentioning that the national carrier aircraft witnessed a significant increase in the percentage of full and by 82% during the last months of this year for flights departing and coming from the airports of Baghdad and Basra to the Delhi (India).